I’m absolutely outraged by a Detroit jury’s verdict, yesterday, in the trial of a man whose only “crime” was defending himself and his home. And you should be, too. The man was found guilty for shooting a drunken, high woman who banged on his home in the middle of the night and tried to come in. The verdict is a complete travesty of justice. 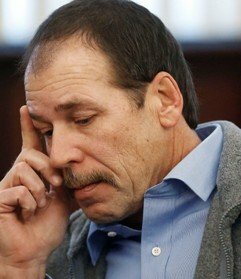 If you’ve been watching the national news, you may have seen coverage of the trial of Theodore Wafer. Many in the media tried to brand him as a racist and compared his shooting of Renisha McBride with the shooting of Trayvon Martin. But it’s not even close, even though that was an instance of self-defense, too. Renisha McBride was drunk and high on the night she banged on Ted Wafer’s home in the middle of the night. She had been in a car accident with a parked car–and it is just luck that she didn’t hit a car with an actual person in it and kill someone. She walked more than a half-mile and banged on Wafer’s door and on the windows and walls all around his house at 4:40 a.m. Wafer, who lives alone in his Dearbornistan Heights home, was asleep on a chair in his house. He awoke to the sounds of banging all over his house, thinking a mob was about to attack him. Wafer opened the door with his gun ready to go. He accidentally shot Renisha McBride, and she died. He was charged with Second Degree Murder, of which a jury convicted him in Detroit, yesterday. The jury–made up of residents from throughout Wayne County (the county which includes Detroit and Dearbornistan Heights)–was comprised of Blacks and Whites. And they seemed to blame Wafer for not calling 911 and waiting for the police. But as we always know, when seconds count, the police are only minutes away. What would you do at 4:40 in the morning with banging all over your house that made you think gangs were trying to break in, rather than one drunk, doped up woman? I probably wouldn’t have opened the door (I’d be too afraid), but I’m not in that panicked situation, so I’ll never know what I’d do. 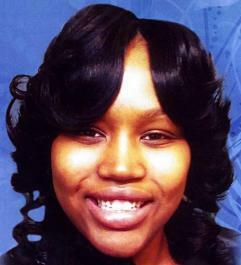 If Renisha McBride hadn’t been doing drugs and drinking and driving that night, none of this would have happened. In Michigan, we have a “Home is Your Castle” law, meaning that if McBride had set even a pinky toe into McBride’s house, he had no duty to retreat and could have killed her without punishment, whether or not it was done in self-defense. And in my view, that should have included the porch, but apparently it does not. In some areas of the country, these “Home is Your Castle” doctrines include the entire “curtilage,” which would include the porch and the land. And that’s the way it should be, since “Home is Your Castle” laws are based on older laws that historically did include the curtilage. If someone comes on your porch and can possibly break down your door–as banging on it in the middle of the night would indicate–they deserve to get what’s comin’ to ’em. And Renisha McBride certainly did. She was a no-good, lowlife. She was a pothead, a drunk, and drunk driver who, as I noted, might have killed someone. And the jury didn’t get to hear this: she was a drug dealer and seemed to be involved in gangs. She flashed gang signs and held guns in photos on her cell phone. The jury didn’t get to see those photos. But ask yourself this: while Ted Wafer didn’t mean to kill her, isn’t the world better off without her? Isn’t the world better off before she did more drugs and drank more and killed who knows how many? Wafer was near tears when he testified about his remorse for accidentally shooting her. But he did the world a favor. And it wasn’t about race. It was about defending himself–his life–and his home. Wafer’s attorney, Cheryl Carpenter, did an excellent job. There is nothing else she could have done or said. I followed the case online and watched the testimony. And I thought only an O.J. jury would have found Wafer guilty. Sadly, he got one of those juries. And he faces up to life in prison, plus an automatic two years in prison for any criminal conviction involving the use of a firearm (that’s Michigan criminal law, and I think it’s a form of double jeopardy, especially if the gun is legally owned, as Wafer’s was). The police “investigation” in this case was an absolute joke. The Dearbornistan Heights police didn’t dust for fingerprints until nearly a week after the incident. In the meantime, race-pimping media whores held a “vigil” outside Wafer’s home. Countless people may have touched the house and left prints. Therefore, we don’t know if McBride had others with her that night who banged on the walls and windows all around his home. And the case wasn’t about race. It all happened so fast, he didn’t have time to think about that and didn’t know the race of the person or persons banging on his home or his door until the last second. This was about a lowlife woman who made bad choices in life which brought her to this point–banged up from a one-car accident she caused in the middle of the night, driving from who knows what (a drug deal?). It was about a man who awoke to frightening banging all over his home in the middle of the night, and he tried to defend himself. I doubt Wafer will get life in prison, but he’ll get some time and at least the two years because of the felony firearm law. And he may win on appeal to the conservative Michigan Court of Appeals. But in the meantime, he’ll lose everything–his money, his home, and his reputation (which he’s already lost to some extent). All for defending himself from a thug-ette lowlife. Tells me there really isn’t a solid right to self-defense in America anymore. The verdict yesterday was a travesty of justice. The very definition of that phrase. And it will have a chilling effect on all of us who want to own and use guns to defend ourselves while in our homes. People will be afraid to do so, lest they face life in prison. And that will cost lives. America is not safer with Ted Wafer behind bars. But it is definitely safer with Renisha McBride off the streets. Definitely a tense situation and one that shows the jury and prosecutor were morons. I was awoken several years ago buy a guy who had pulled up into my driveway at 3AM and kept revving his engine. The way he was parked, he was outside my kitchen window and poised to ram through my garage door, but I couldn’t see the driver from the kitchen window. I grabbed my gun and walked around from the back door to confront him and when the guy saw me, he threw the car in reverse and screeched away. Probably a drunkard and he never came back, but anything could have happened. Make up of the Jury would tell us everything. He should have dragged her into the house. Sorry, this was not a travesty if you knew the laws of self-defense for you state. Most states, like California and Michigan, do not have Stand Your Ground laws (unfortunately), so one must be extremely careful when using deadly force (except if you’re a cop). What Wafer should have done is call 911 immediately, tell the dispatcher that he has a gun and will use it if the cops don’t get there soon. He should have waited until his life was in immediate danger, if at all, before firing. Opening the door was the absolutely WRONG thing to do as that allows the DA to assume you were not in fear of your life. Most states require you to try to avoid confrontation not seek it out as in Wafer’s case. If McBride had broken into his house, then he is still required to feel his life is threatened and try to retreat before using deadly force. If that had happened, it would be considered justifiable homicide. If you don’t like the verdict, change the laws regarding self-defense. The jury came to the only legally valid conclusion: guilty. The “Castle Doctrine” does not apply because his life was never threatened and therefore there was no need to consider retreat. I know this, because I was in the same situation as Wafer, except my wife called the police, I kept the door closed, even though the trespasser was on my porch. I did not panic (but my wife did), and its a good thing, because the trespasser turned out to be a missing Alzheimer’s patient. Also, Michigan’s Castle Doctrine says if someone comes into your house, you have NO duty to retreat. The dumbest thing I have ever read. It would be too late to act. You act when you THINK your life is in danger. You are playing “jailhouse lawyer” and obviously are way out of your league. Imminent danger, not immediate danger. Not the same thing. @Ed, you are addressing Ms. Schlussel and she is a lawyer with some time doing it. Her opinion is sought for on several media outlets. I think if it were you in his position you’d not only be unarmed and get killed by the female gangster and her posse but you’d also be their play toy for a while until maybe a neighbor called the po po to save you. Any moron can come up with heroics as a Monday morning quarterback but few usually do as well as they think they would do. I’ve seen professionals with no actual experience soil themselves and lie on statements so save your breath. I would not have opened my door, most likely unless I had a car parked outside and wanted to assure it wasn’t being stolen. Out in California I had a unit in a duplex and had scum bags breaking into my garage all the time. Went out a lot with my big old mag light and my old Taurus 9mm(Beretta 99 clone) and watched one guy run away like the wind. This is why people leave the nearby detroit suburbs, they are never safe. Savages will always be savages. When somebody stops one, its such a horrible horrible thing, not. I remember from an AJ course that I took at Hartnell College in Salinas that California had a “John Wayne doctrine.” Granted, that was in 1983, so laws might have changed. Once again, I am reminded (as with the OJ trial) that the jury doesn’t get to hear all the damning evidence that we get to hear as the Court proceedings unfold on the Media – the jury is sequestered away while the attorneys duke it out as to what is admissible – Debbie watched it on the internet, so she knows all the details. This jury did not know the details. This seems way more a situation of the judge not allowing pertinent/relevant information showing the “victim” as she/he truly is as it pertained to this case. Our justice system is the Travesty. We don’t have a “justice system” in this country anymore. We have a”legal system”. Two very different things. Rick: You really hit the nail on the head with that one. Well it is murder in the second degree. The woman is dead but he did not intend on killing her. That’s what second degree murder means. Hate to break this to you – but even if you kill someone by accident, you’re still responsible (most of the time) for the death. By this jury’s standard, Doctor Ossian Sweet should have been found guilty. His only justification for killing her would be that he felt his life was in danger…and it wasn’t. She never came into the house and was away from the door when she was shot. He could have easily locked his door and called the police. The stand your ground defense is not applicable here. While she may have behaved badly, she did not deserve being shot. Additionally, he first told the cops that his gun accidentally went off and that he didn’t know it was loaded, then later changed his position to self-defense. This inconsistency was likely what did him in. She was not in the house, or in the process of breaking and entering the building. She was knocking on and around the house to, most probably, get help over the car accident. Hearing banging on your walls and automatically believing that you are imminent threat of death or bodily harm is not a reasonable belief. It is a paranoid belief. ‘Reasonable’ and ‘reasonable doubt’ are very important in decided case law. It is not reasonable to wake up – hear knocking – and the first thing you do is grab your gun. He’s responsible for what he did and second degree murder fits the crime. — But, like I said I am sure that he will serve about half of his sentence and be released on parole. Golly Connor, what was she doing at 4:40 A.M.? She was banging on windows and on the door. You might try putting down your crackpipe before posting. Your posts might be a bit less absurd. No way. I’m no lawyer, but murder by definition must have intent and malice aforethought. A stranger pounding and trying to get in your house is a surprising event and there’s no way the homeowner had malice aforethought – he was sleeping when it started. At most it’s voluntary manslaughter *if* he wanted her to die when he saw her and shot, but his remorse at the trial even dismisses that. Hearing banging on your wall in the middle of the night may indeed be rationally construed as an imminent threat to your life if you live in a crime-ridden area. Disagree with your presumptions. A bad time for the right to bear arms. The death of James Brady has ignited a firestorm (so to speak) of gun control propaganda. I understand that the death of Brady has been ruled a homicide, more than 30 years after the fact. I have no sympathy for the shooter, who is a real sicko, but calling Brady’s shooting a homicide, more than 30 years after the fact means, given the slippery slope that will surely occur, that sooner or later, any self-defense shooting is liable to be termed a homicide if the person shot dies, say before his or her 80th or 85th birthday. @Little Al. So right you are. Hubby and I were talking about this yesterday. That is going to open up a floodgate. Not a good move. I wondered if my sister dies as a result of anything neurological, would the young man who was driving the car she fell off of (yep, and had head injuries) back in ’73 get arrested for manslaughter? I can’t see anything good coming of that decision. I think what hanged this poor guy is he tried to claim it was accidental and self defense if I read correctly. There is a good take on it over at Legal Insurrection. By they way, they thought George Zimmerman’s case was self defense. If I was on the jury I would have acquitted him. I believe a person should be able to defend their property and person wherever it may be. James Brady has just died and the gun control forces have used this event to inundate us once again about the danger of guns. Fuel has been added to the fire by the calling of this death as a homicide, even though the shooting took place more than 30 years ago. I condemn the shooting by the sick criminal guilty of this, but at the same time, there is a slippery slope that will quite likely affect those of us who use firearms in self defense. If you shoot someone, and they die before their actuarial life span is over, you can now be charged with homicide. I’ve helped many drunken women in my day because I don’t want see them taken advantage of. I’ve gone so far as take them home make them shower to dilute thw and put them to bed and leave by-passing their sexual advances. My first notion was never to take out my shotgun and shoot them in the face, let him rot. I don’t know anything about this case other than what I just read here. And no, there was no uplifted knife so to speak but, we don’t always know what we would do if living in that hell hole of a city (I don’t know why anyone stays there) and having our house beat on in the middle of the night but, our 1921 Supreme court said it best with …“Detached Reflection Cannot Be Demanded in the Presence of an Uplifted Knife”. …. I live in Alabama, the other patron state of shooting stuff and I suggest Mr. Wafer move down this way when he’s free to do so. The case was all about race. If the woman who was drunk and high had been Caucasian, the story would have NEVER been broadcasted over and over again in the national news and it would have been mostly ignored by the local news media. If he was scared, why’d he open the door? If, the verdict was innocent or if Ted was black and found guilty I am sure that America’s No. 1 racist, the “Reverend” Al Sharpton would be heard mouthing off on the in the media. The accused being white, the “victim” black, with the implicit racially charged mob in waiting hanging over the trial made a rational outcome a betting underdog. The morally slack anti Wafer contingent disguising itself behind a mask of justice were successful in relegating justice itself to the rafters from where its echos bounced off the top of twelve jurors’ heads. 2nd degree murder? Could that travesty hold up during appeal? Sure, why not. Who could be surprised were justice to remain a dog whistle pitched plea and move along without audible comment? I just got done reading the Sunday edition of my local liberal fish wrapper. It had a picture of that racist ingrate Al Sharpdung consoling the parents of McBride. It didn’t have the facts that she was a drug dealing, dope smoking drunk who supposed had ties to gangs. The thing that irks me is that if he was black and she was white this would’ve went down VERY differently. Any liberal lofo moron who thinks otherwise is just fooling themselves. Your home is supposed to your castle and the dimwits who are throwing stones at Wafer also need to ask themselves this question. What would you’ve done at the same time in the same type of neighborhood. It’s hard for me to properly weigh in on something that I didn’t follow. BUT all you need to know about this murder case, any case involving anyone-other-than-Black/Muslim/Hispanic on Black/Muslim/Hispanic or partisan politics in general can be explained by reading “Animal Farm” and “1984”. If both parties were Black. there probably wouldn’t be a trial. I noticed how no one commented on the comment “the world is better off without her”. Those words are so filled with hate, which is so sad how people proudly make hateful and racist comments. That Woman was a human being, and who can judge the value of a young girls life, when know one is perfect. My gosh Debbie, I wish I knew where you lived, so I could stay far, far away. I ever needed help, I would avoid your place like Ebola! I’m afraid you’d see this black guy in the road, get scared and shoot me, because black guy!!! Are you really that afraid, or think that he was so afraid, that you think he was justified in KILLING a person, on his porch, when he was locked inside his house? If you check the actual facts of the case, she did not try to enter. She jiggled the door handle, at most. Sorry, that is NOT grounds to kill someone. Too many people have guns that are just itching to use them. And, as quite a few people have already mentioned, Michigan DOES have a stand your ground/castle doctrine law. You are actually an attorney? HA!